Sometimes no matter how skilled a rider unforeseen events can lead to your legs taking a battering, the Race Face Charge Leg Guard, offers protection for your Legs featuring: a light weigh mesh sleeve with second skin super fit for targeted protection. 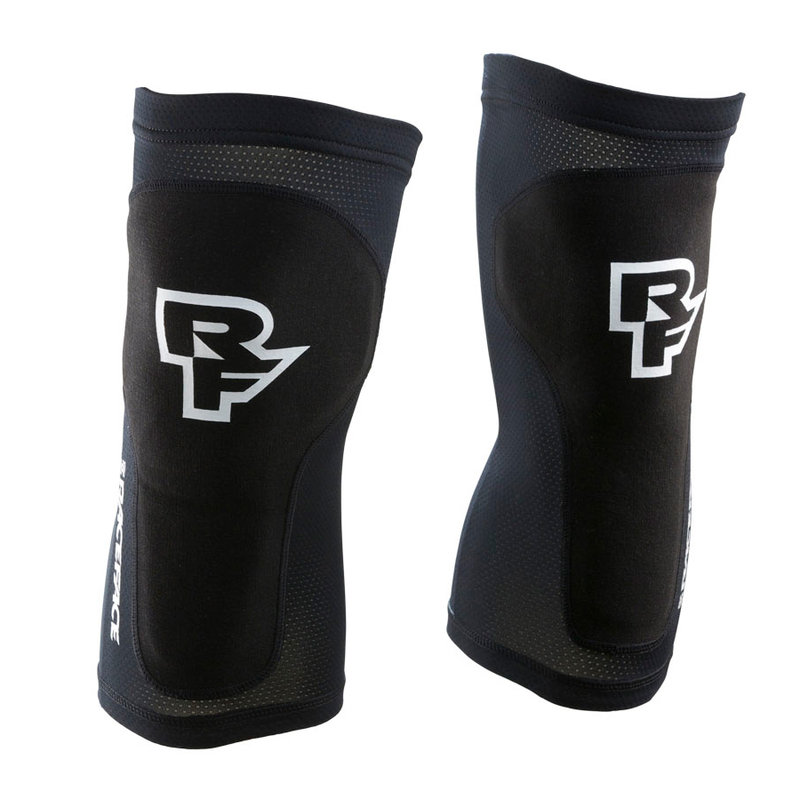 Perfect option for those that want leg protection without the bulk. Super comfy and well-built. They won't stop you destroying you knee on a big off, but will help prevent all the normal scrapes and low speed crashes. I wanted some light protection for riding basic local trails that would give some basic graze and impact protection should I have an unexpected fall. I decided to go with these as the price was right and they looked like they'd double up as winter cold weather protection. Pleased to report they are fit and forget, very cool and comfortable. They are fitted with gel pads on the joint contact point so you wouldn't want a heavy rock impact with these, but enough basic protection to stop you breaking skin which inspires some extra confidence. Minimalist knee/leg guard that perfect for summer and hot weather. Really love it! Absolutely fantastic, one of those rare products that exceeds all expectation. Toastie knees with a great feeling of security, these babies just don't fall like down my Bliss did. Great leg guards for the money. I can hardly tell I am wearing them on the bike. These seem to offer great abrasion projection, but lack the major impact projection found with a full on knee pad. For general trail/XC riding, these are my new go to.